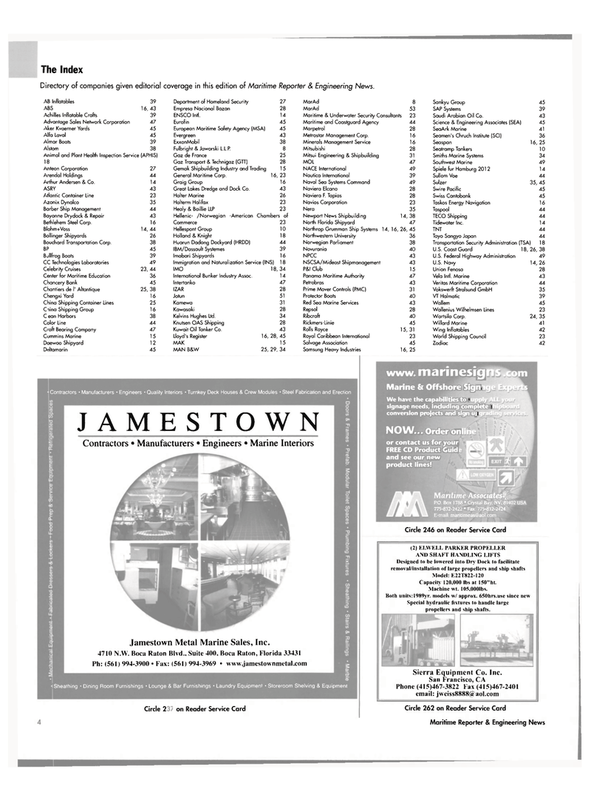 Directory of companies given editorial coverage in this edition of Maritime Reporter & Engineering News. FREE CD Product Guid and see our new product lines! Capacity 120,000 lbs at 150"ht. Special hydraulic fixtures to handle large propellers and ship shafts.